The University of South Australia (UniSA), in partnership with the M2 Academy, is set to launch a suite of new degree programs at a purpose-built campus on Singapore’s Orchard Road in the heart of the city. 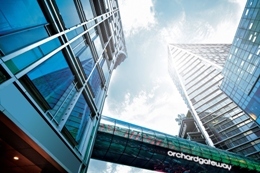 The educational offerings will be delivered on a state of the art campus in the prestigious new Orchard Gateway development – a study environment offering a full sense of campus life, student collegiality and networked into the working world. According to the media release by Minister for Employment, Higher Education and Skills Gail Gago, the first intake at the new campus will commence in September 2014 and courses will include: the Bachelor of Commerce (Accounting); Bachelor of Business (Tourism and Event Management); Bachelor of Communication and Media; Bachelor of Engineering (Mechanical); and the Master of Engineering (Engineering Management). UniSA Vice Chancellor Professor David Lloyd said the partnership gives Singaporean students the opportunity for a fully integrated university education that emphasises experiential learning and professional career skills. “We are very excited about the new enterprise and the opportunity it presents to deliver offshore study options that so closely emulate the local experience of on-campus life at UniSA in South Australia,” Professor Lloyd says. “UniSA has had close ties with Singapore for many years – a number of Singapore business and 0industry leaders are alumni of UniSA. It is these contacts along with new graduates that will help foster a strong sense of community and ensure enduring ties between Singapore and South Australia,” she said. According to the media release by UniSA, in 2015 more programs will come online at the Singapore campus including the Bachelor of Information Technology (Systems Administration), the Bachelor of Information Technology (Networking and Security), the Bachelor of Business (Marketing) and the Bachelor of Business (Finance).